It was time, Lisa Juachon thought. Under a full moon, she walked with a friend to the Japanese maple sapling tree in her Berkeley, CA, backyard. She took out the plastic container that she had kept in her freezer for more than a year after the grueling birth of her son. While pregnant, she had read that in the southern Philippines, the placenta is seen as the twin soul of the baby, something that was once a living being that kept the fetus alive as well. Tradition dictated that it should be kept close to the home, not disposed of as medical waste. The idea spoke to her, a Filipino American who had been craving a closer connection to her heritage. So, on that night five years ago, she knew it was time to bury the placenta in her yard. “I had my own little moment and prayer with it,” Juachon, 34, says. Juachon’s act might seem unusual. But she is one of many Asian and Pacific Islander women in the United States practicing age-old post-birth traditions in order to connect to their cultural heritage. While post-birth care for mothers is not mainstream practice in Western medicine, many Asian, Middle Eastern, Latin, indigenous and other cultures view the month or so following birth as a sacred and crucial time for new moms to recover. Traditions vary by ethnicity, region and religion, but there are common themes: female-oriented, family-centric support networks; a focus on fortifying the new mother’s health; and rites of passage and celebrations marking new beginnings. Many Asian American women abide by or adapt traditions out of respect for the older generation, and some second-generation Asian American women are following the traditions even more closely than their foremothers. These practices stand in stark contrast to the Western view of maternal care. In the United States, the focus is on prenatal care. Once a baby is delivered, the new mother typically stays in the hospital for two to five days and is then released. A doctor doesn’t see her until six weeks later. But many Asian post-birth traditions adhere to the belief that a mother’s health is intimately connected to that of her newborn. For thousands of years, Asian and Pacific Islander families have viewed the initial month after birth as a vital period of growth and recovery for both, requiring the pair to be shielded from the “hostile” world. Therefore, new mothers are typically pampered by their own mothers and relatives — in short, the mothers get mothered. New mothers also abide by restrictions such as not bathing or washing their hair, eating only warm, low-sodium foods and staying homebound for the month. Often, visitors are not allowed. Also off limits: television, reading, computers and anything that may strain the eyes. The Chinese tradition of zuo yue zi, which translates into “doing the month,” dates back at least 2,600 years, says Wendy Chen, president of the California Alliance of Acupuncture Medicine. The belief is that during this period, one’s pores are “extra open” and that during this susceptible period, illness or infection could easily result from becoming chilled or exposed to wind. Even washing hands in cold water is avoided. Many Southeast Asian cultures subscribe to this idea, practicing “mother roasting”, or nam lua in Vietnamese, where a fire keeps the mother warm for a month. The practice involving an actual fire has largely disappeared in the United States, where indoor heaters now do the job. Among Indians, post-birth care is based on ancient Ayurvedic traditions, a health system dating back nearly 5,000 years that involves warm oil massages for both mother and child and eating heated foods like clear broths. To some extent, Western medicine acknowledges the idea of a post-birth transitional period for mothers. The homebound period, which is practiced among many cultures and varies from 28 to 40 days, matches the Western view of six weeks as the time when a mom’s health should be restored (hence the six-week postpartum doctor’s visit). A woman’s physiological systems are under heavy stress during pregnancy and delivery, making the post-birth recovery period particularly critical, according to Michael Lu, an obstetrician and gynecologist at the University of California, Los Angeles, Medical Center. Lu emphasizes that building the mother’s health is paramount. “Trying to help mom restore her health as quickly as possible by giving her good nutrition, by making sure she’s getting plenty of rest and by having a strong network of social support around her — those are all tremendously useful for new moms and their health,” Lu says. “It actually has a lot of impact on her long-term health.” Not to mention short-term mental health: Lack of support after birth is one key factor leading to postpartum depression, Lu says. While some of Lu’s patients—25 percent of whom are Asian—embrace the practices, others ask whether these traditions are worthwhile. He urges them to view the traditions in terms of their historical and cultural contexts. “There may have been really good reasons for these practices, although some may have less relevance in today’s world,” Lu says. For example, Lu cautions against consuming anything made with alcohol (rice wine is a common ingredient in postpartum dishes) or Chinese herbs. While there’s not much research on any beneficial effects, the various chemicals would likely be passed on to the nursing baby, he said. High-protein foods such as chicken soup, however, are essential during the post-birth period, because the mother needs to heal and restore her blood loss. Furthermore, both Lu and Chen say that mothers no longer need to avoid bathing. The task can now be performed safely, thanks to modern, chill-warding conveniences such as heaters and hairdryers. Still, waiting at least a few days after giving birth to take a shower is a good idea, as this gives the body time to rest, Lu says. Lisa Juachon with her children, Basilio Alon Mendoza Juachon (on sofa) and Anais Diwa Mendoza Juachon, at home in Berkeley, CA. 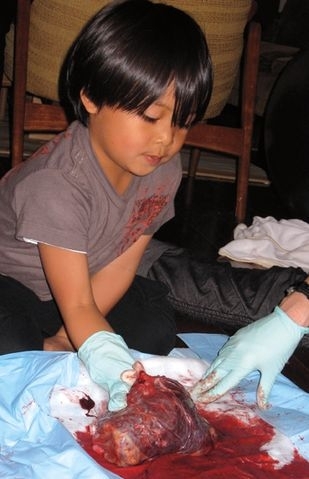 After Basilio was born, Lisa kept his placenta in her freezer for over a year before burying it in her backyard, an adaptation of a Filipino tradition. At a six-bedroom, Spanish-style house in the Los Angeles suburb of Rowland Heights, an older Chinese woman watches over three sleeping newborns swaddled in blankets, their beanie-covered heads all facing the same direction. Their mothers rest in the other rooms of this zuo yue zi zhong xing, or postpartum care house. During the final months of their pregnancies, the mothers flew in from Taiwan and China; dubbed as birthing tourism, their children’s American births grant them the rights to American citizenship. Such places, which primarily advertise in Chinese-language US newspapers and websites, use traditional practices to care for mothers immediately after birth. This growing cottage industry began in Asia, where waves of young people have, in recent years, moved from rural areas to cities and away from their extended families, the traditional support group for new mothers. Spaces at the most upscale postpartum care houses in Taiwan, Hong Kong and China are coveted, fetching top dollar. At the Rowland Heights home, a cook prepares the new mothers’ meals, which include dishes like sesame oil chicken, brown rice, rice wine soup and bone broth soup. New mothers are given food six times a day — four full meals and two healthy desserts. Babies are delivered to the rooms when they need to be fed by the moms, but most of the time the babies sleep in a separate room watched over by a hired hand. Another option is to hire a live-in caregiver, which my friend Kathy Chow of San Marino, CA, did last year for the month after her son’s birth. Chow, 32, initially considered using a food delivery service, which would have freed her family from the hours of shopping, preparing and cooking involved in assembling traditional meals. Ultimately, Chow and her husband moved in with her parents, emigrants from Taiwan, for the month and hired someone from a Chinese nanny agency who cooked for them and cared for the baby at night. These full-time “night nannies” typically cost $2,800 per month. Chow says that having a live-in caregiver allowed her to focus on nursing and playing with her son. Chow noted that the caregiver taught her and her husband, both new parents, how to bathe and care for their baby. The month of rest, she feels, has restored and even enhanced her health. In fact, improvements to long-held ailments is an oft-rumored side effect of pregnancy; Chen says she has indeed seen some of her patients’ pre-existing disorders disappear during pregnancy and birth, with the right care. There are three times during a woman’s life, she explains, when her hormones shift dramatically, affording a woman the opportunity to “fix” her health: during the first year of menstruation; pregnancy and birth; and menopause. Sesame Oil Chicken is a traditional postpartum dish served to Chinese moms. Leilani Ly-Huong Nguyen, 35, of Oakland, CA, followed northern Vietnamese traditions after birthing her daughter, now three, at home. She stayed indoors for 28 days, leaving the house only three times: to bring her baby to a checkup, take a quick family photo and pick up her baby’s birth certificate. She didn’t read, watch TV or use the computer. She barred visitors, except close family members, her midwife (a trained professional who provides care before, during and after childbirth) and a chiropractor. Her mom moved in for the month and cooked all her meals while instructing her on the Vietnamese post-birth traditions, which she had performed herself decades earlier when she gave birth in Vietnam and was cared for by her own mother. For nearly a month after Leilani Ly-Huong Nguyen gave birth to her daughter Văn Lang (here, both at home in Oakland, CA), she stayed indoors, avoided visitors and abstained from using the computer, TV and reading. 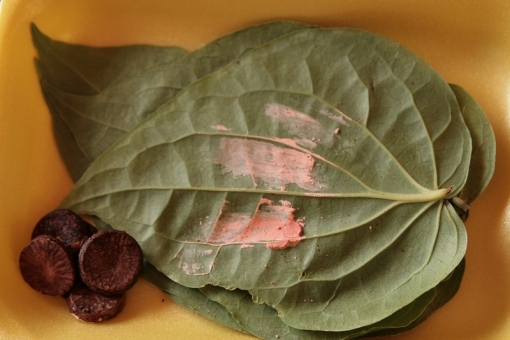 A traditional offering of betel nut and areca leaves was part of a feast prepared by Nguyen's family for the Goddess of Midwives on Day Thang, a celebration of the baby's first month and the end of the postpartum laying-in period. Photo courtesy of Trung Nguyen. In the United States, no federal legislation guarantees paid maternity leave, and domestic work such as childcare and housecleaning — things that usually fall on the mom’s shoulders — are among the lowest paid and unprotected by labor laws. Nguyen notes the irony that the only way to get paid for providing childcare is to work for someone else, like a nanny. And even some non-Asian societies seem to put more value on parenting than the United States does: Some European countries offer up to three years of paid parental leave, and in France, the government sends laundry assistants to the homes of new parents. The postpartum care industry is booming in the US, according to DONA International, a nonprofit organization of doulas and one of the largest that certifies them. Postpartum doulas, who are paid between $15 and $30 an hour on average and hired on an as-needed basis, have been on the rise since DONA began certifying them in 2004. They have certified nearly 500 postpartum doulas, the vast majority in the US. It’s a sign that people are seeking support after birth but don’t necessarily find it within their family, due to factors such as geographic isolation and a generation of parents having children later in life, which means that their own parents, if still alive, may not be fit to do the traditional backbreaking support work of holding babies, cleaning, doing laundry and cooking. 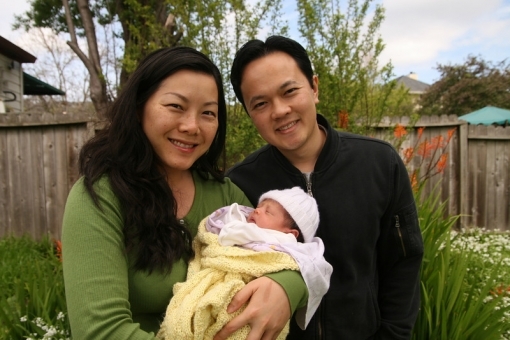 Nguyen with her husband, Trung, and newborn daughter on one of the few times Nguyen went outside during the month after giving birth. Photo courtesy of Trung Nguyen. Juachon knew that having a baby would change her life forever, so, during her pregnancy, she looked to gain strength and guidance from a closer connection to her Filipino culture. Unlike some cultures, such as the Chinese, in which postpartum care is practically common knowledge — and even commoditized — Juachon had a difficult time finding information about Filipino postpartum traditions. 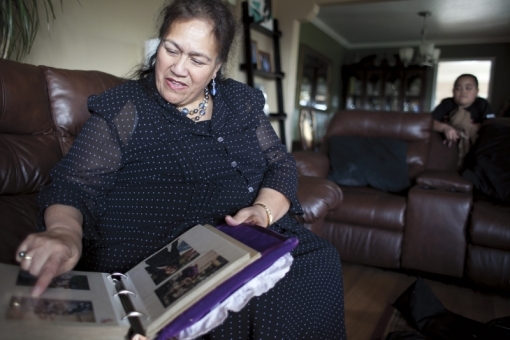 Her mother, a nurse educated in Western medical practices, had little to offer. So Juachon was delighted when she came across a book about the Cebuano tradition of placenta burial. To prepare for the birth, Juachon created a female-dominated birth team, a network of people who cared for her during labor, delivery and after birth, harkening back to postpartum care traditionally found in Asian and other societies. She knew she wanted traditional, homemade Filipino foods that would provide good nutrition, so her husband cooked chicken tinola and rice as one of her first meals after giving birth. Her mother and mother-in-law also took turns visiting each day for several weeks, cooking and helping with the newborn. Juachon's son Basilio examines Juachon's placenta after she gave birth to her daughter in 2009. Photo courtesy of Lisa Juachon. Tema Havea, mother to 14 children, browses through family photos while her granddaughter looks on at their home in Oakland, CA. Havea was pampered by a network of women after giving birth to her children. Lu, the UCLA obstetrician, teaches medical students and residents at UCLA to be more culturally sensitive and to find some wisdom in old traditions. Institutional hurdles remain as well: Some parents who want to uphold traditions such as saving the placenta may face challenges with hospital births because many hospitals consider it to be medical and hazardous waste. Juachon gave birth to her second child at home and now volunteers as a doula at a public hospital. She also wishes to document Filipino post-birth traditions, many of which have been erased by centuries of colonization. She laments that, today, traditions are looked down upon as backward or irrelevant. But Juachon has a different interpretation. To her, these ancient post-birth practices instill a sense of direction and meaning. Momo Chang, Hyphen’s Features Editor, followed about 70 percent of the traditional Chinese postpartum practices after both of her children’s births, thanks to her mom’s support. This story was funded in part by the Spot.Us community. Note: This story has been updated from a previous version to say that a midwife is a trained professional who provides care before, during and after childbirth. Want to learn more about these traditions? Check out Which tradition is right for you? Want to recreate some traditional postpartum recipes? 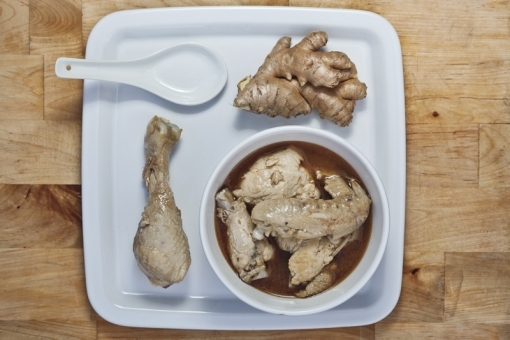 Moms share recipes for Sesame Oil Chicken, Chicken Tinola and Korean Seaweed Soup. We also interviewed moms about their postpartum traditions for a supplemental video -- in the blog post, writer and mother Momo Chang offers up her personal experiences with postpartum practices and her views on how we should care for new moms. Motherhood Rooted from Roldan Lozada on Vimeo. hi Grace, thanks for reading and for sharing your thoughts! i learned so much while researching for this article. so many cultures and traditions practice some sort of postpartum laying in period, and a lot of the logic and even practices are similar. yes, i heard that pigs' feet and papaya (and peanut?) soup is supposed to be good for lactation. my mom made this for me. i also heard that oatmeal is good for milk production. (i mention it under "rice wine and herbs" section in the sidebar: http://www.hyphenmagazine.com/magazine/issue-23-bittersweet/which-tradit...). It was really coincidental how I ran into this article. A month ago my mother was explaining to me about the Traditional Chinese post-birth practices and why they need to be followed. My grandmother apparently didn't follow tradition and caught wind while postpartum, leading to her constant migraines. I don't know whether there is truth behind these traditions but I thought this article was beautifully written. The idea of writing about old traditions for our generation to understand why it is practiced is wonderful because it helps us stay connected to our roots. Thank you!